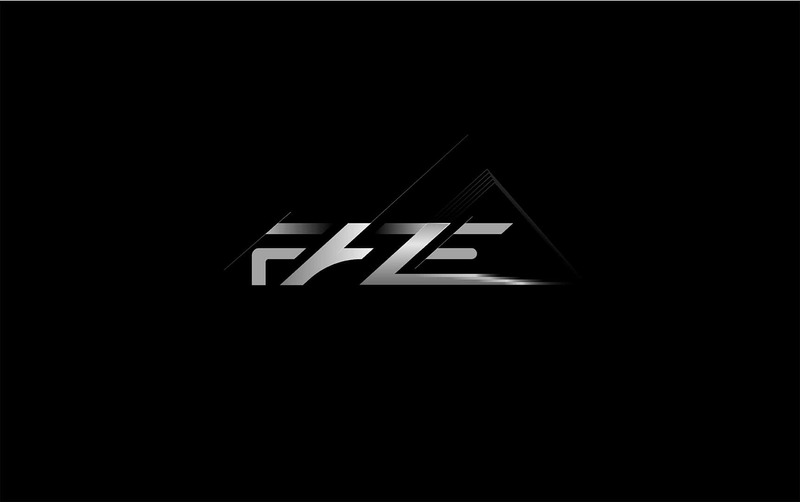 FAZE DESIGN PVT. LTD. a startup architecture company looking for a new approach to branding. The need for modern with black&white design. But yet simple. FAZE represents “PHASE” as a process that the company goes through: phases of design development and constructions. The main idea was to stands out in itself so as the identity with simplicity. The black&white was made more drastic with gradient fill’s. The style of moving forward as in typography to represent forward thinking. Sharp and straight lines to show straight forward mindsets along with eye attraction while being bold. 2. Then i was all about vector graphics in Illustrator. Illustrator makes so much easier to have guides and turn ideas into reality and be free from resolution restrictions as in Photoshop. 3. Then importing the vector graphics in Adobe dimension onto the models through libraries and placing,rotating & scaling. 4. Almost every graphics were put on to the models in Adobe dimensions except the “Thank you” lettering as it came out too shinny on rendering preview. So it was added in Photoshop. 5. So it was all about adjusting environment lighting and all to get the final renders. Using the render preview makes it so much easier. 6. Adobe After Effects for creating the simple logo representation and name typography on Business card. 7. Finally everything adjusted in Photoshop for size and resolutions. You can’t expect great responses when you are an unrecognized in this crowded environment where there are already great designer and too many have moved in and still moving. But i think still being different still keeps me humble. The was so much to learn about how the perception works on different targets. That makes it more challenging that it is. I am an Architect by profession. Architecture is the part of my life, I strive to design and build through hard-work and Passion. I do have experience in designing Logo’s & brochure’s, Visiting card’s,etc as an interest that helps boost my creativity and keeps me on track. Along with Photography & editing. Altogether, I love all new kinds of designing challenges while understanding the needs and surpass the imagined/desired results.